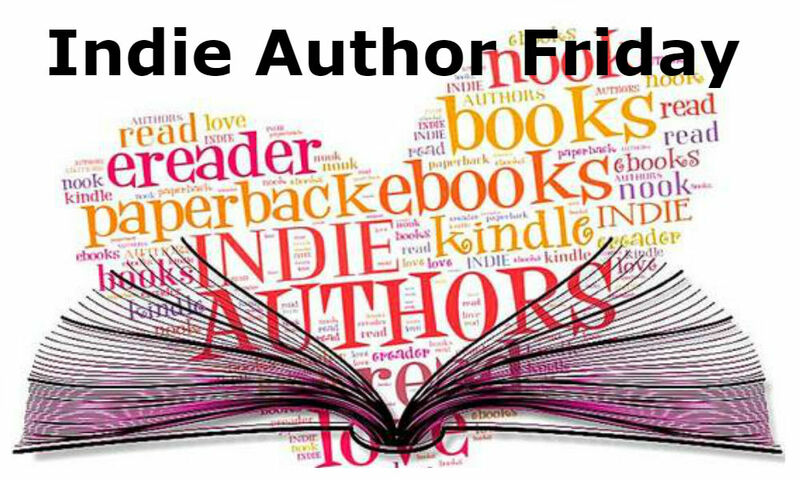 Today Matt Doyle drops by for Indie Author Friday! Matt brings several books to share with us and is busy working on sequels. After reading about his talents and hobbies, I’d love to have Matt at my house for Halloween – we’d be the hit of the neighborhood! Guess I’d better get extra candy. How do you define a life? With overblown visuals, stunning entrances and bloody battles played out in real time by holograms, Spark Forming has become far more than a simple card game. Drawing in fans from across the Colonies, no other sporting event creates a bigger buzz than the annual two-day tournament to crown a new Spark Form World Champion. Yet the scramble for the title is not the only source of conflict this year, and for some competitor’s the real battles will take place away from the TV cameras. What defines a person’s life and dives them to keep moving forward? When a game grows to reflect a society struggling to hang on, are some lives more valid than others? Can an AI ever truly be alive? Find out in Matt Doyle’s genre bending Slice of Life / Science Fiction series, The Spark Form Chronicles. As day two of the tournament begins, the top four competitors are readying themselves for the battles that lay ahead. But will their toughest battles take place in the arena, or will they be forced to focus on goals other than the championship? The Forty-Third Annual Spark Form World Championships have been and gone, and John Forrester is still coming to terms with the effects of both the tournament itself and the weeks that followed. 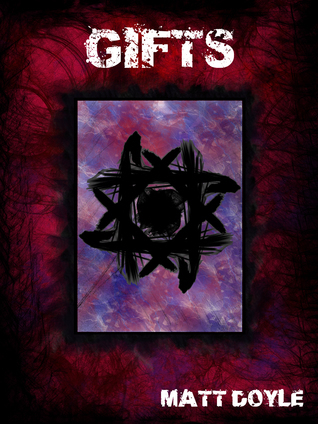 Set six months after the conclusion of WICK and CARNIVAL, GIFTS continues the story of John Forrester and the living hologram, Carnival, as they learn how the world has changed for each of them. As a bonus, this book also includes the rules to the card game played by John Forrester and his fellow competitors. Twelve-year- old Simon Teller is an avid gamer, loves obscure rock music and, much as he’s loathe to admit it, finds his Dad’s favourite 90’s action heroes to be far cooler than the modern teen characters that he’s supposed to admire. He is also very, very bored. All that changes when Simon meets a six-foot- tall fennec fox named Xera, and her teenage friend, Carrie Lowry. Together with his unusual new companions, he is thrown into a world of exciting games that he can play while leaving his body behind to deal with all the things that he hates, like school and creepy local homeless girls. But the games are more sinister than they seem, and Xera’s people view humans as toys to play with and push until they break. Simon may yet wish that he could go back to being bored … if he can survive long enough to get home. New Hopeland was built to be the centre of the technological age, but like everywhere else, it has its dark side. Assassins, drug dealers and crooked businessmen form a vital part of the city’s make-up, and sometimes, the police are in too deep themselves to be effective. But hey, there are always other options … For P.I. Cassie Tam, business has been slow. So, when she’s hired to investigate the death of a local VR addict named Eddie Redwood, she thinks it’ll be easy money. 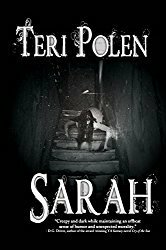 All she has to do is prove to the deceased’s sister Lori that the local P.D. were right to call it an accidental overdose. The more she digs though, the more things don’t seem to sit right, and soon, Cassie finds herself knee deep in a murder investigation. But that’s just the start of her problems. When the case forces Cassie to make contact with her drug dealing ex-girlfriend, Charlie Goldman, she’s left with a whole lot of long buried personal issues to deal with. Then there’s her client. Lori Redwood is a Tech Shifter, someone who uses a metal exoskeleton to roleplay as an animal. Cassie isn’t one to judge, but the Tech Shifting community has always left her a bit nervous. That wouldn’t be a problem if Lori wasn’t fast becoming the first person that she’s been genuinely attracted to since splitting with Charlie. Oh, and then there’s the small matter of the police wanting her to back off the case. Easy money, huh? Yeah, right. Coming soon. Keep checking Ninestar Press (http://ninestarpress.com/) and MDM (www.mattdoylemedia.com) for a release date. Seeing where the characters take me. You see, I used to come up with story ideas and build the characters with no goal other than to fill specific roles in said tale. Since starting on The Spark Form Chronicles, I’ve been letting the characters come to me. It sounds odd, but they’re essentially these living, breathing people in my head now, and while I have an idea where I want to go with each book, they kinda lead the way themselves. The journey from A to B via X, Y and Z is a wonderful experience, especially when you don’t really know where X, Y and Z are. I’m a bit broader in the stories that I tell now. For a long time, everything I wrote was essentially a Lovecraft pastiche. And not always a good pastiche either. 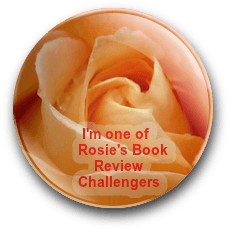 It wasn’t until I started trying new things that I began to grow as a writer. Initially, that meant a few short stories started emerging that were a fair bit removed from my early work, albeit still in the horror genre. I experimented a bit more then when I started writing a webcomic, and eventually, the idea for The Spark Form Chronicles came about. That one’s a complete genre-bender. It’s a Sci-Fi tale at heart, but there’s so much more to it than that; it’s got a wrestling influence, there’s a bit of anime influenced card gaming, a large cast of varied characters, a longer, over-arching plot, it’s a big geeky, a bit furry, a bit philosophical, a bit romantic … I even threw in some poetry. In all, it became an amalgamation of so many things in my life, and it remains a satisfying series to work in to this day. 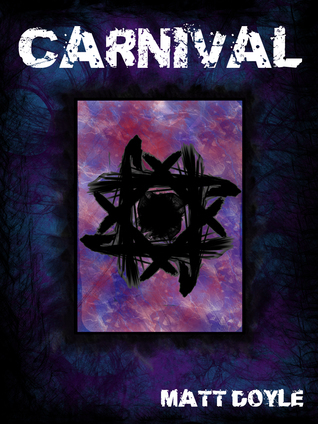 To that end, there are currently three books available from that run: WICK, CARNIVAL, and GIFTS. At the same time though, I didn’t want to just stick to doing the one thing. While The Spark Form Chronicles is aimed at an older audience, I’ve always been a fan of literature for younger readers too. Neil Gaiman and Derek Landy do such a good job of weaving strange and entertaining stories for that audience, and I wanted to see if I could do the same. The result of that was the Teller Tales series. Moving back into the horror genre with a touch of fantasy thrown in, I wrote the first book, Basille, pretty quickly and started shipping it around to agents and publishers. That was when Black Rose Writing offered me a contract. Basille was released in January 2017, and both the second and third books only need one more run-through before I decide what to do with them. 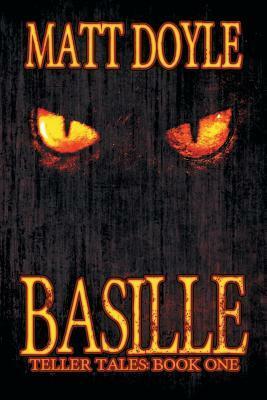 A lot of that will come down to how well Basille does with BRW of course, but we shall see. After I wrote those three, I had an idea for something a little different again, and started working on a crime noir novel with a cyberpunk setting. The book is currently titled Addict and was picked up by the LGBT publishing house, Ninestar Press, after I pitched it on the Twitter Pitch Event, PitMad. The book is currently going through editing and cover design, and will be available later this year. I’ve started work on the follow-up too! So yeah, in all, I guess that my biggest evolution has come with finding my own voice and being willing to take more risks in order to tell the stories that I want to tell, rather than simply emulating other people. What is something memorable you’ve heard from your readers/fans? I like to talk to fans of my work whenever I can, so I tend to keep myself fairly active online when time allows. As a result, I get to hear a lot about what my readers think. It sounds daft, but the thing that surprised me most with this was how many people really enjoy what I’ve been releasing. 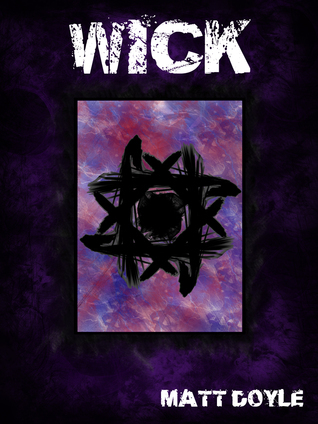 There have been a few people who’ve said that WICK and CARNIVAL made them fans and that they’ll happily buy anything that I put out. That is so, so gratifying as an artist, because it means that I’m doing something right and reaching the right audience. I know it’s not a specific quote or anything, but those moments stick with me and remind me why I love doing this. Any unusual talents or hobbies? I do have a few, or so I’m told. In general, I try to live to the idea that if you want to try something, you should. What that’s meant is that, over the years, I’ve had a pretty varied life. I actually spent around ten years in the professional wrestling industry. Way back in 2001, I started training at NWA-UK Hammerlock, and I worked my first show in 2002. After that, I spent a fair few years there, and got to meet one of my favourite workers of all time, Jake ‘The Snake’ Roberts. All the time I was at Hammerlock, I carried out several different tasks, including wrestling on shows, ring announcing, and helping train new trainees. Unfortunately though, I got injured during a training session and, rather than take time off, made a point of honouring my booking a few nights later. The result of that was that I ended up with a back injury that saw me taking a bit more time off than I would have liked. By the time I was ready to come back, the school I was training at had moved and I couldn’t make it to the new one. That was OK though, because there were a few more places local to me that I could join up with. When a long-term colleague was starting up a new promotion, I offered my services and ended up with a number of jobs again. I was, first and foremost, still a wrestler. I helped out at the training school again, and also became the head booker (picking the matches and so on) for the first year and a half of the company’s existence. In the end though, a lot of things happened that resulted in me making the decision to call it a day. I ran my retirement show myself and ended up with a packed house to end my career in front of. My final match was not my best, but the crowd loved it, and I had a good send off. Though I haven’t been active for a while, I do still get the odd question from old trainees though, so I’m obviously well remembered. I also have the pleasure of seeing people that I’ve worked and trained with making big waves now, so that’s fantastic. My other unusual hobby is cosplay. Over the last few years, I’ve made a number of different costumes, some from scratch and others by modifying pre-existing items. My most successful one by far was a fursuit of Renamon from an anime called Digimon Tamers. My sewing machine broke and I had to hand-stitch the entire thing, but it was so worth it! The sheer number of photos I was asked for at the convention I wore it to was phenomenal, and I still bring the costume out now for Halloween. It’s wonderful to see how happy the Trick or Treaters are when I answer the door in the thing. Outside that one, I’ve done a few other well received ones including a partial fursuit of Rouge the Bat from the Sonic the Hedgehog franchise and one of Celty from the anime, Durarara! Yes, I’m aware that the costumes listed are all female characters. In all honesty, they just seem to go down better. Oh, that and the female characters tend to have better outfits, at least in my eyes. What’s the last thing you watched on TV/Netflix? Hmm … I don’t actually have a Netflix account, and I don’t tend to watch too much regular TV these days. There have been exceptions over the years, such as Sons of Anarchy and Westworld, but very few shows appeal that much. Instead, I’ve been making use of my Crunchyroll account to watch a ton of anime and some Asian dramas. The last couple of things that I watched would have been Flying Witch (a relaxing anime about a witch in training) and GTO (a live-action comedy about a former gangster turned unorthodox high school teacher). Oh, and I’ve been checking out some of the content on the Halo Channel. I only got into the games recently, so there’s a lot of world-lore to catch up on! A penguin walks through the door wearing a sombrero. What does he say and why is he here? Like most penguins, he would say, “Narp, Narp!” As to the reason that he’s here, it’s because I’ve been trying to convince Pingu to visit for years, and my house just happens to be on the way back from his holidays. Or it is if he takes a major and unnecessary detour anyway. But hey, it’s worth it to discuss that ‘The Thing re-enacted by Pingu’ video. Matt Doyle lives in the South East of England. His house is inhabited by a wide variety of people and animals including (at time of typing) his partner, his three kids, a dog, a cat, a snake, two Syrian hamsters, a rabbit, a selection of teas and a handful of wild windows. He has spent his life chasing dreams, a habit which has seen him gain varying degrees of success in a great number of fields. This has included spending ten years as a professional wrestler (both working shows under the ring name Tad, and working backstage booking and running several successful shows in his local area), completing a range of cosplay projects and scripting the webcomic ‘Tales of the Winterborn’. These days, he can be found working on far too many novels at once, blogging about anime, comics and games, and plotting and planning what other things he’ll be doing to take up what little free time he has. Great interview, Terri and Matt. I like Matt’s relationship with his characters and how they find him versus the other way around. 🙂 Interesting bio too. Best of luck with a great list of books! I have to agree with Matt – my characters seem to find me also (makes things a little easier for me). Thanks for stopping by, Diana! You sound incredibly busy, Matt. I’m a one book at a time gal, so I’m always amazed at those authors who keep multiple projects going. 🙂 Best of luck to you. It’s difficult, I’ll grant you that! Still, i’m a total workaholic like that, so it almost feels necessary at times. Matt, you’ve certainly had a colorful life and your books sound most intriguing. I enjoy novels that cross genres. Wishing you the best! Thank you kindly! It’s funny, but I often forget that people find my life to be so colorful. I too love stories that cross genres. It’s much more fun to cut loose like that I think. Didn’t think about that – good one! And catchy name for a funeral home. In Grand Rapids, Michigan (of course) it is a real chain of homes. Thank you John. I’m certainly hoping for some luck with the novels. It’s a great name, isn’t it? It’s a shame that it folded a few years back, as it was a great place for people to learn in the UK.